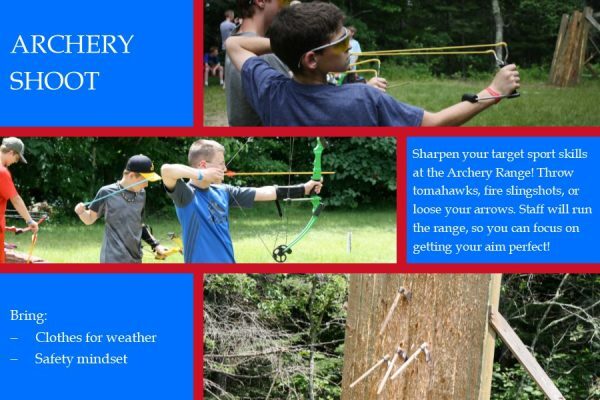 At our Archery Range we have plenty of Bows and arrows, but did you also know we have slingshots and tomahawks? Everyone gets a turn no matter what program you are with. If you feel like you need more practice come down during free-time and shoot for no extra cost!